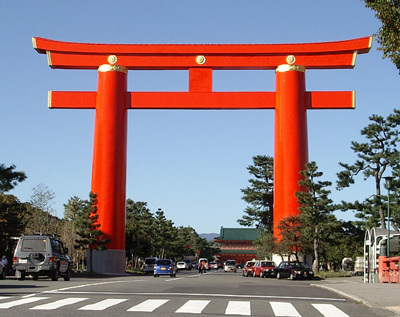 In order to commemorate the 1100th anniversary of founding Kyoto as the capital of Japan, Heian Jingu, a Shinto shrine was constructed in 1895. 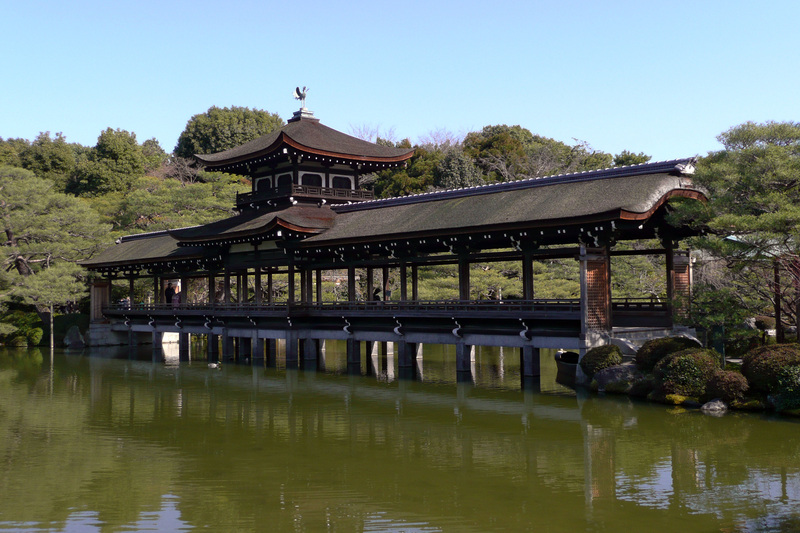 Colorful halls and beautiful gardens are present in the Heian Jingu. 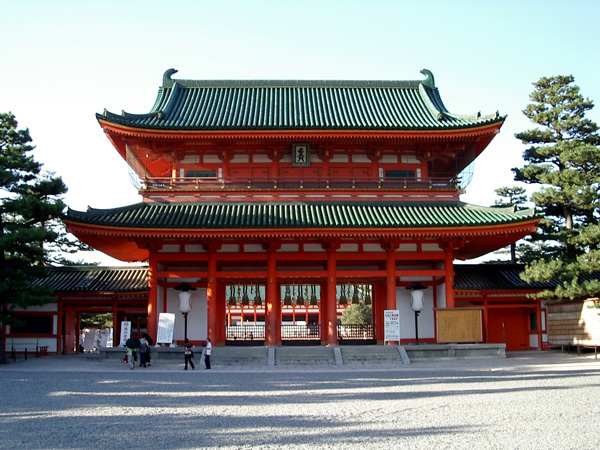 The halls signify 5 to 8 scale replicas of the Imperial Palace built in 794 and express the elegant atmosphere of the Heian period (794-1185). 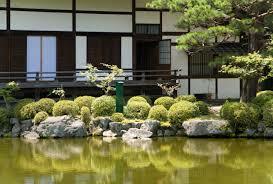 The gorgeous pond-stroll greenery frames the shrines on three sides.